Managing the millions of smart meters in a widely dispersed utilities environment is incredibly complex. Fraud, weather, and ongoing maintenance are just a few of the challenges faced by operations managers. Furthermore addressing these issues often requires rapid action, or the issues become more acute. The good news is that meeting this type of challenge is now possible with new Internet of Things (IoT) technologies and especially IoT Analytics. But capitalizing on these opportunities requires a rigorous approach to capturing data and putting it in context for real-time decision making and action. Assembling and integrating the data and critical software infrastructure to do this requires special expertise and careful planning. Vitria’s IoT Analytic platform offers utilities managers and operations executives a unique solution that enables them to step up quickly to a new level of smart meter management. The platform’s capabilities are integrated within a 6 step process – what we call an analytics value chain – that provides the baseline required for many examples of use cases of smart meter management. 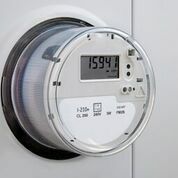 The first step is to connect the large volume of smart meters for a typical utility and ingest all the critical data at speed and volume to ensure all the necessary baseline data to assess meter health and performance. The second step is to correlate that data with context on the location, performance, and profile of the full range of smart meters in service. Understanding the real-time status of meters is also critical – weather, field service status, and other dynamic factors can all affect real-time operations and decisions. Capturing the background data and real-time situation sets the stage for the most important part of the process of applying IoT Analytics to the challenge of managing Smart Meters. Making predictions – in real-time – of what may or may not happen at a given time in the future is a crucial linchpin. And then, combined with the predictions is the most critical step – prescribing actions and providing the ability to execute those actions in real-time or near real-time. Will service degrade soon based on what is going on right now? Do we need to dispatch a service technician to deal with an EXPECTED heavy load of maintenance? Does the pattern of meter readings in a particular area indicate possible fraud? The overall lesson for smart meter management with IoT Analytics is that addressing operational issues and capturing business value requires acting quickly in real-time with full context. Vitria’s IoT Analytics platform is designed to enable utilities managers to do just that.